Before you consider “embellishing” a little on your resume – or worse, flat-out lying about something like having a college degree or working for a particular employer – peruse this article. It could save you loads o’ heartache. There are many reasons that could prompt a human resources manager to conduct an employment background check. You can have future employees apply here for their back ground checks. Maybe you are not performing your job as well as expected. Maybe a co-worker has the same credential and became suspicious when your facts did not add up during a conversation. 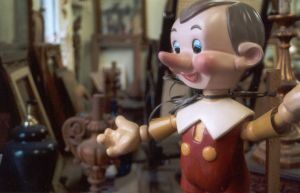 Some companies have never experienced a dishonest employee who lied on his/her resume, and does not routinely verify work histories and the validity of credentials. In short, they have a false sense of security. Just the same, many hiring managers are keenly aware that lying on a resume is becoming a costly problem for many companies, and thoroughly check all facts even after they hire a candidate.